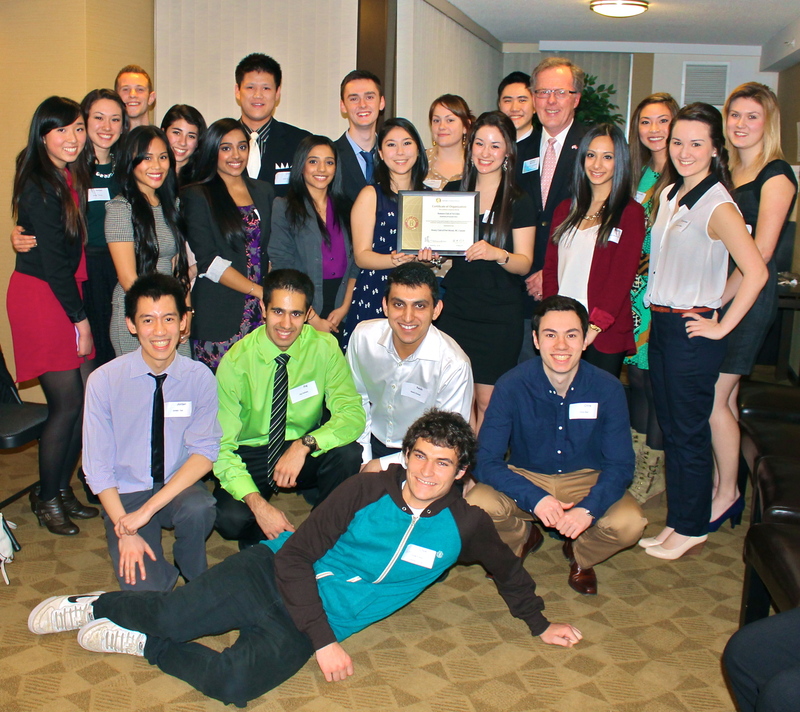 The Tri-Cities Rotaract was officially installed as a member of the Rotary family at a ceremony in Port Moody’s Newport Village on March 16, 2013. 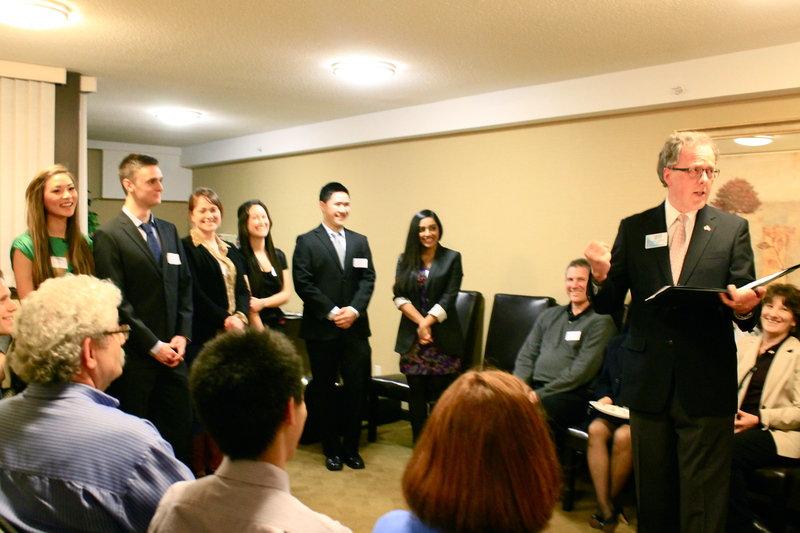 In addition to our sponsoring Rotary Club, the Rotary Club of Port Moody, members of the three other Rotary Clubs in the Tri-Cities area were in attendance, in addition to family members of our very own Rotaractors. Among the very special guests in attendance at our ceremony were Denis Boyd (Governor Elect of Rotary District 5050), Nick Stebbing (Rotaract Chair for District 5050), Al Stjernegaard (President of the Port Moody Rotary Club), and Patty Klassen (RYLA Chair for District 5050). Governor Elect of District 5050, Denis Boyd, leads the ceremony to install our officer board. In addition to a light meal being served and plenty of social and networking time between Rotaractors and Rotarians, our officers were given their official pins and our president, Kimberley Chong, received our club’s Certificate of Organization signed by Rotary International President Sakuji Tanaka as well as her presidential gavel. All of our members received their official Rotaract pins as well. 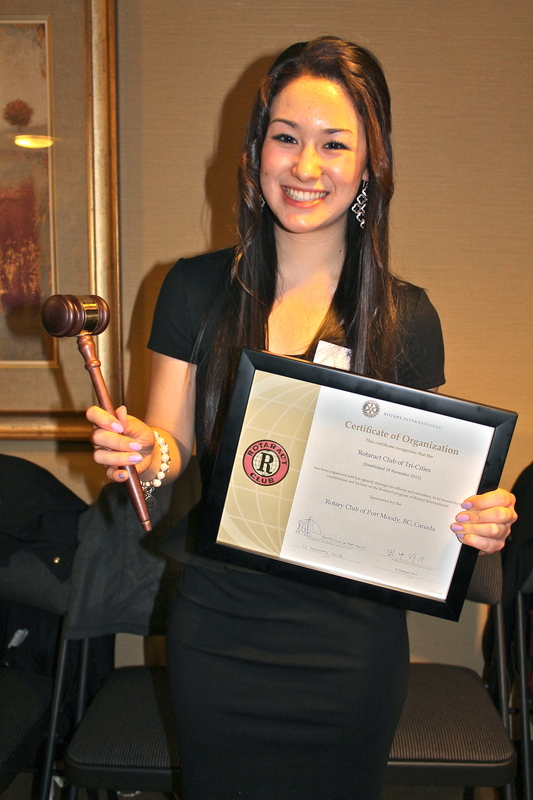 Our president, Kimberley, with her president’s gavel and our club’s Certificate of Organization. The entire Tri-Cities Rotaract Club would like to thank the Rotary Club of Port Moody from the bottom of our hearts for making this night possible. It has been a tremendously long process getting our club chartered, but our sponsoring Rotary Club has been there with us every step of the way and we cannot thank them enough for their continuous support! For the full set of pictures from the night, please visit our Official Facebook Page. Previous PostZimbabwe ContainersNext PostWe’re in the Tri-City News!